A tropical depression in the Atlantic Ocean at about 2:30 p.m. Thursday, April 20, 2017. 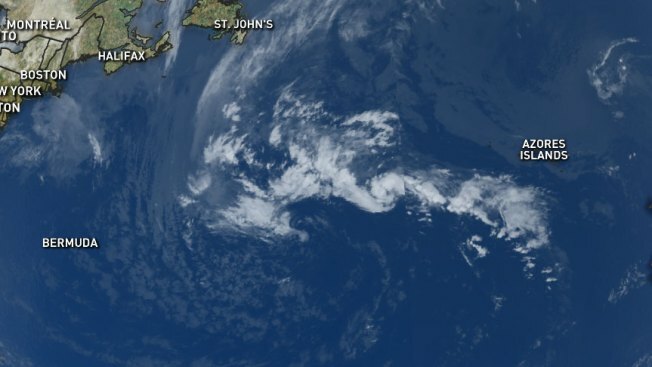 The first tropical depression of the Atlantic season has formed far from land. Hurricane season runs from June 1 to Nov. 30, but last year two storms formed before the official start of the season. The depression is located about halfway between Bermuda and the Azores and does not pose a threat to land. The system is expected to dissipate Thursday night or Friday. It has winds of about 35 mph (56 kph). The first Atlantic storm of 2016 was Hurricane Alex, which made an unseasonable debut in January over the far eastern Atlantic. Tropical Storm Bonnie formed in May 2016 off the South Carolina coast.